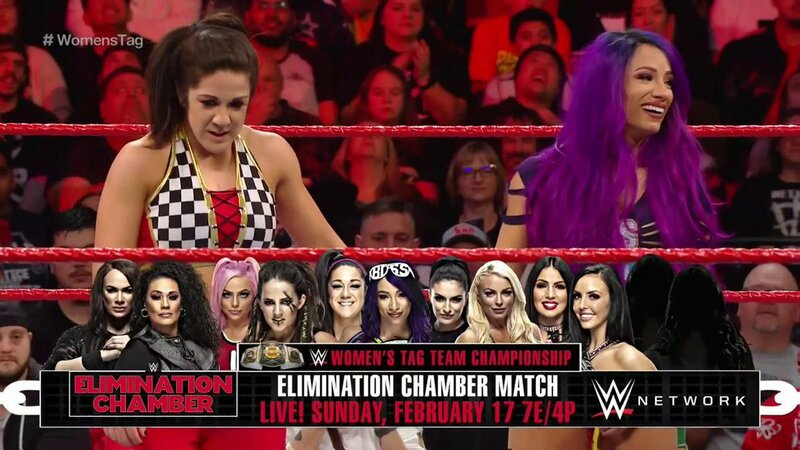 Sasha Banks And Bayley Added To Women's WWE Elimination Chamber Match - Wrestling Inc.
Sasha Banks and Bayley have been added to the WWE Elimination Chamber match for the Women's Tag Team Championship. Banks and Bayley defeated Alicia Fox and Nikki Cross on tonight's RAW to qualify for the match. As we previously reported, Banks missed this past weekend's RAW live events because she was dealing with some sort of injury. POST Wrestling reported that it was expected that Banks would be cleared for tonight, however that apparently did not happen. Cross and Fox attacked Bayley and Banks before the match. The match still happened, however Bayley worked the entire match while Banks was hurt in the corner from the attack. One spot remains for the match, however as noted, local advertisements in Houston have revealed which team will be added. Below is the updated card for the WWE Elimination Chamber pay-per-view. The event takes place on February 17 from the Toyota Center in Houston, Texas. Photo: Top WWE Elimination Chamber Match Spoiled?